Click on a service to read more about it. Bleaching products brighten teeth that have been stained or darkened by food, tobacco use, injury or aging. In-office bleaching takes place over a series of one-hour appointments at the office. First, your teeth will be examined and cleaned to make sure there are no cavities, loose fillings, gum problems or other issues that may be bothered by the bleaching process. In-office bleaching has the potential to make your smile the brightest white it can achieve. Digital x-rays are just one of the latest technological advancements used in our office. This great innovation substantially reduces your exposure to radiation from X-rays, making your visit to our office safer, faster and easier than ever before. 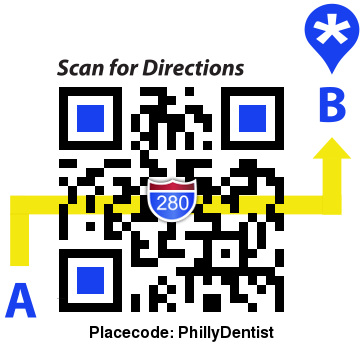 From laser cavity detection to cosmetic dentistry, Philadelphia dentist Dr. Richard Walicki will use this helpful technology to better serve you. A laser is a device that uses light energy to perform work. Lasers are unique because they can treat targeted (diseased) tissue while leaving surrounding (healthy) tissue unaffected. It is this property, among others, that allow your dentist to perform very precise procedures. In addition, lasers may seal off blood vessels and nerve endings during a procedure lessening bleeding, postoperative pain and swelling. In many cases, due to their gentle and precise nature, lasers can be used with little or no anesthetic. Our goal is to help you keep your teeth, not to lose them. Nevertheless, there are circumstances where a tooth may be so badly damaged it is in the patient's best interest to remove it. Mini-implants are a great way to stabilize a loose or uncomfortable lower full denture. When a person has lost too much bone in their lower jaw, it can often be nearly impossible to wear a lower denture. In many cases, we can comfortably place these tiny implants in as little as one visit. An evaluation of your mouth is usually needed to be certain you are a candidate, but mini-implants can often be placed even in those cases where a traditional implant may not be an option. Just one missing tooth can be a traumatic event in a person's life. Losing all of them can have functional, nutritional -- even emotional consequences. We are keenly aware of how this affects people on many levels. The back teeth can be noticeable when we talk and especially when we laugh. Seeing dark, unsightly areas of metal detracts from an otherwise perfect set of teeth. Now there are fillings available that are specially designed to match the natural color of the tooth. These directly placed, bonded resin fillings can make a tooth look like new, whether they are used for small areas of decay or to replace current fillings. Lumineers® allow direct placement over existing teeth without grinding, without anesthesia, no sensitivity, and no destruction of natural tooth structure (in most cases). They are clinically proven with a 20-year track record. Following are answers to common questions taken from the SnapOn Smile website and from our experience with SnapOn Smiles. Feel free to call our office with additional questions you may have that are not covered here. Crowns are used to strengthen and improve the shape, size or color of teeth. They can support broken or weak teeth or those with large fillings. In the case of stained, misshapen, or otherwise abnormal teeth, they can create a smooth, strong and attractively contoured surface that is also stain resistant. Crowns also aid in the restoration of implants. When joined together to replace missing teeth, crowns are called bridges. Bridges are one method available to patients for the replacement of missing teeth. A dental bridge can replace a single tooth or multiple missing teeth by anchoring the substitute teeth to those that are still available for use and support. Bridges are cemented to the prepared teeth and are not removable by the patient. Your teeth are not the only important part of your mouth. Your gums and underlying bone are their foundation – and every home needs a good foundation! Whether you need a simple cleaning or have more pressing periodontal needs, we can help. Most people who grind their teeth are not aware of their condition. In fact, many people will insist that they don’t do so. The dental term for the grinding and clenching of teeth is called bruxism. The All-on-Four® Fixed Denture is a treatment concept which uses Nobel Biocare implants and components to provide people who have no teeth (the dental term for this condition is “edentulous) -- or are soon to be without all their teeth -- with a non–removable ("fixed") full-arch prosthesis (denture) which is supported by only four implants on the day of surgery. Consult this Dental Dictionary for complete descriptions of several dental terms that you may not be familiar with.